Spring might have just sprung but summer isn’t too far behind, so start preparing for longer and warmer days. Whether you’re going commercial or residential, Zanduco has equipment that will keep you ready for the summer weather. It’s one of the busiest times of the year for restaurants, bars and other commercial food service establishments. But Zanduco has the products to keep up with the demands of your bustling customers enjoying the summer heat. True’s direct draw beer dispensers are designed with enduring quality and value. 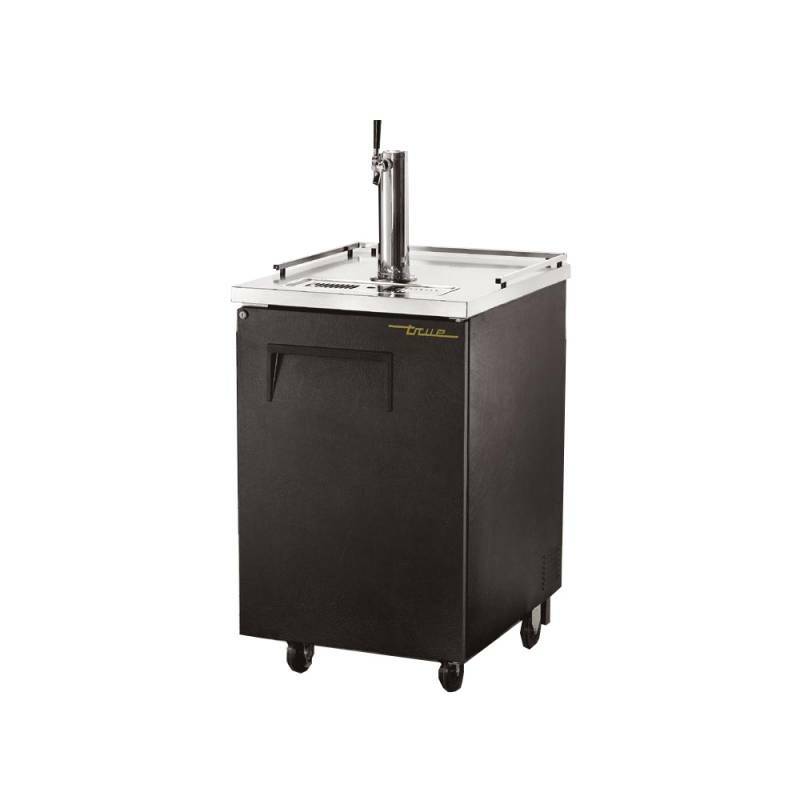 Their selections of beer dispensers are perfect for any catering event, pubs and bars, and company gatherings. The TDD-1 is compact and easy to move around; True’s beer dispensers range in size from small to large, giving variety to choose what works best for your establishment. Its single tap tower allows for easy dispensing and service for your guests. The exterior is heavy duty; wearing a resistant laminated black vinyl front and sides, a matching black aluminum back and all stainless steel counter top. Its interior wears a stainless steel floor with 1/2″ reinforced lip and heavy gauge galvanized steel walls. This model is complete with a NSF-7 approval for packaged and bottled products. Get the most out of using space in your kitchen or food prep area with this mobile working bench. Due to its 430 anti-fingerprint stainless steel with a rubber wood top, this table gives you the durability you need when preparing food. While great for an indoor kitchen, this table also works well for an outdoor patio. 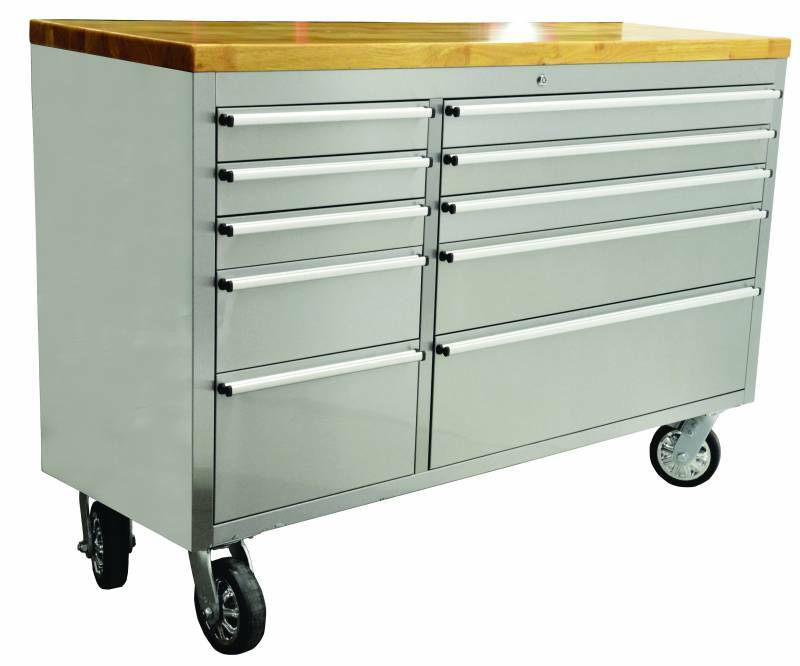 The 10 aluminium drawers make for excellent storage for your utensils and other tools. For a commercial setting, use this working bench to create an interactive cooking experience for your guests, while having all your utensils and tools close at hand. Take an order for a daiquiri, margarita, or any popular 16 oz. icy drink and serve it up—perfectly smooth and with no ice chunks using this Hamilton Beach Blender. Ordinary blenders spin contents around the walls of the jar, which can leave whole chunks untouched by the blades. The Wave-Action™ System has a unique container and blade design for smooth results every time. Its wave action system continually forces mixture down into the blades. It can blend a 16-ounce daiquiri in just 20 seconds. Its 1 HP motor provides ample power and torque. Load this blender up with ice or frozen fruits; the four-point stainless steel blade is made to withstand years of restaurant-level punishment and get the job done fast. Take a modern and attractive take to your menu or simply advertise your establishment with this sidewalk menu chalkboard. 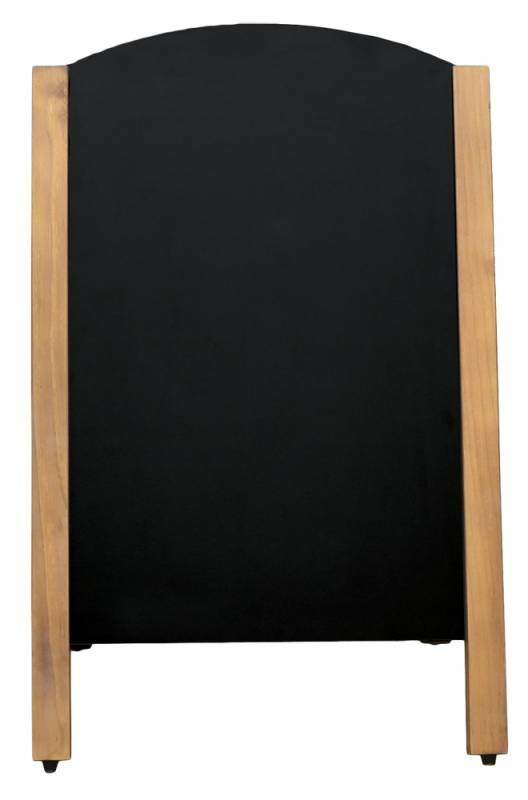 This sidewalk menu chalk boards are ideal for cafes, bistros, restaurants, and bars. Use it to broadcast specials, events, or anything that your business caters to. The frame is made of well finished wood and can withstand day to day use. This chalkboard is to be used with regular chalks and erasable chalk markers only. The eye-catching colors, fonts and displays you create will help bring in customers and enhance the atmosphere of your establishment. Bring out your inner outdoor chef and put a spin on traditional cooking with this wood burning oven. This wood burning oven is the most versatile and practical ovens available today on the market. 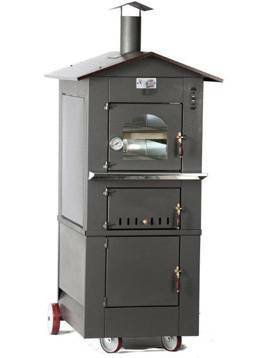 This wood burning oven is designed to be easily positioned in the garden or terrace. It’s stylish and high quality constructed. 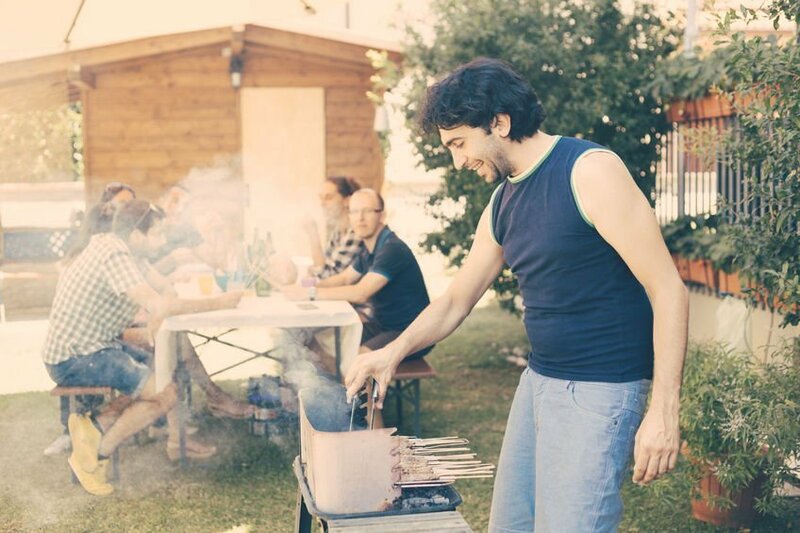 It is designed to cook pizzas, meat, fish, bread, roasted pigs, cakes and more. The particular structure, patented refractory floor and the indirect combustion make our wood-burning ovens to obtain homogeneous distribution of heat. This oven has a low fuel consumption allowing cost savings and avoiding uncomfortable preheating typically done on traditional wood-burning ovens found on the market today. It is made of high-quality certified food-grade material for safety and hygiene. The satisfaction of cooking a meal outdoor is incomparable with this wood burning oven. Enjoy outdoor cooking with the Omcan Outdoor Propane Griddle. Ideal for cooking sausages, bacon, eggs, pancakes, and burgers! The four independently controlled burners each produce 12,000 BTUs. The thick griddle top provides even heat distribution and comes with splash guards which protect people from hot flying grease. It also comes with a reliable electronic ignition which ensures quick start on every use. 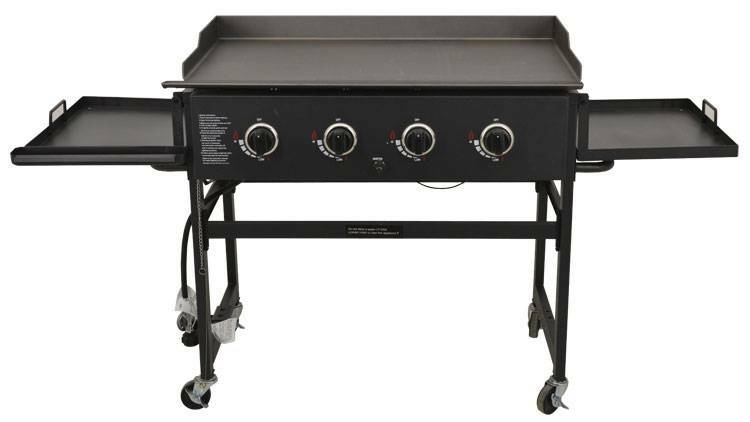 This outdoor propane griddle runs on a 20-lb propane canister and has foldable side tables which make it perfect for easy storage and transportation. Perfect for parties and social gatherings, this cast iron propane burner will efficiently heat and cook foods; providing a maximum of 60,000 BTU. 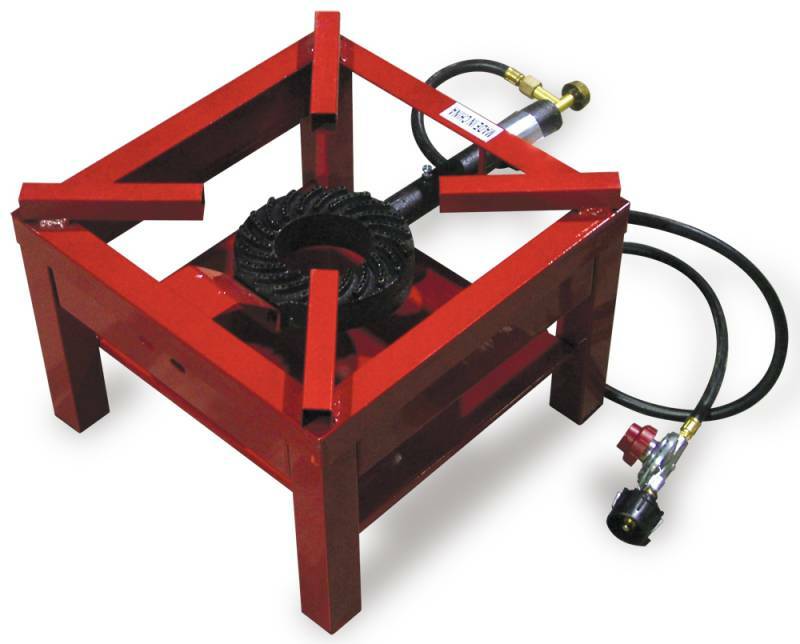 This unit features heavy-duty steel frame with powder painted surface. The cast iron body is extremely durable and will outlast many cooking operations. The size and weight make this a very portable and easy-to-move unit for small to medium outdoor events. This propane burner is very useful for making sauces, vegetables, stews, and a variety of other foods. 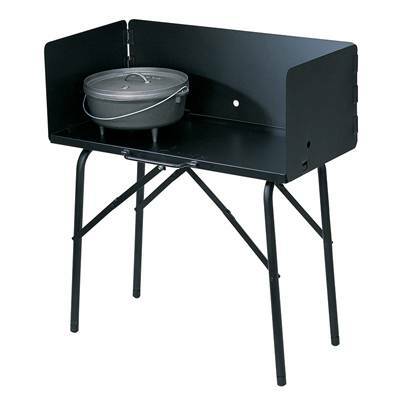 Perfect for camping trips and any outdoor cooking, this Lodge outdoor cooking table is the most convenient way to cook while enjoying Mother Nature. This durable cooking table is made with all-steel construction and features a high temperature black finish. Its collapsible design stows neatly in the optional tote. The feet are adjustable for un-leveled ground. To tackle heat control, this cooking table has a three-sided windscreen. The cooking possibilities are endless when you have the ideal cooking unit while away from home. *Cast iron cookware would also be ideal for outdoor cooking. Zanduco has a wide variety of products that are very suitable for outdoor cooking and equipment that will assist in transitioning from cold to warm weather. These products are great for both commercial establishments and residential homes. To view our products visit www.zanduco.com.